Central Tibetan Administration, Dharamshala, Himachal Pradesh, India. 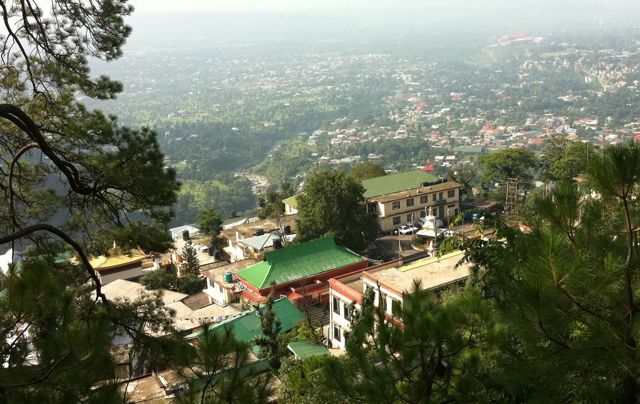 (TibetanReview.net, Jan17, 2015) – The Tibetan administration in exile at Dharamshala, India, has instituted an annual discussion amongst representatives of the four major schools of Tibetan Buddhism and of Tibet’s pre-Buddhist religion Bon. The purpose will be “to foster the preservation and progression of Tibetan Buddhism, and to affirm harmonious relations between the different schools of Tibetan Buddhism and Bon religion,” said the administration on its Tibet.net website Jan 16. The inaugural discussion will be held at the Gyuto Tantric Monastery near Dharamshala from Mar 1 to 3. The discussion, being organized by the exile administration’s Department of Religion and Culture, will have one participant each from monasteries with 50-100 monks/nuns, two participants each from monasteries with 101-500 monks/nuns, three each from those with 501-1000 monks/nuns and four each from those with more than 1000 monks. It was not clear whether the participation in the discussion will be by application or invitation. The Tibet.net statement only said participants were requested to submit the names of their representatives to the department on or before Jan 30. It was also not clear why the statement referred to only four schools of Tibetan Buddhism, given that a fifth school whose origin dates back to the 11th century was recognized during the 11th conference of the heads and representatives of the four major schools of Tibetan Buddhism and Bonism in Sep 2011.